So gift and sale season is fast approaching, and while I plan on procrastinating heavily, I know that some of you are getting a leg up during those Thanksgiving sales. In the spirit of ‘Oprah’s favorite things,’ I decided, why not give you Claire’s Favorite Things? Below, the Fashion Bomb’s Guide to Stylish Gifts. A bold clutch can brighten up any outfit, and looks smashingly dressy against the darker colors of winter. Top Row: Alfani Mercer Patent Clutch, $68,www.macys.com; Mint Handbags Madison, $53, www.ebags.com. 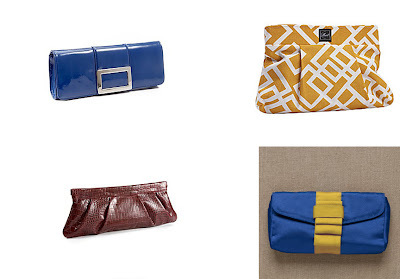 Bottom Row: Alfani Greenwich Croco Clutch, $98,www.macys.com; Silk Satin Claire Clutch, $60, www.jcrew.com. 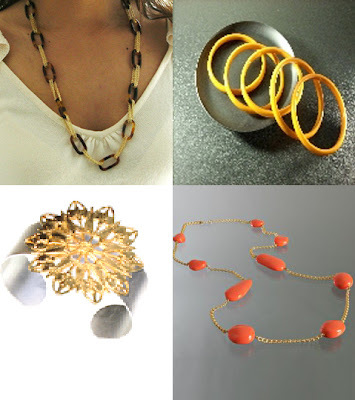 Top Row: Tortoise Link Necklace, $68,www.oohboutique.com; Everday Bangles, $9, www.boutiquefinesse.com. Bottom Row: Galaxy Starbust, $50,www.starletaccessories.com; Kenneth Jay Lane Coral Stone Long Necklace, $60, www.bluefly.com. If you already have enough, you can always organize! 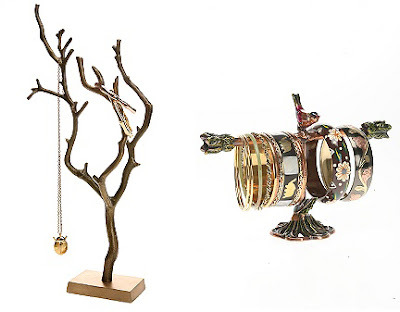 Left to Right: Little Burch Jewelry Stand, $28; Chirp Bracelet Stand, $18, both at www.urbn.com. Left to Right: Cableknit Beret, $38,www.anthropologie.com; Ready & Cable Beret, $38, www.kennethcole.com; Kokin Orchiila Beret, $125,www.bloomingdales.com. 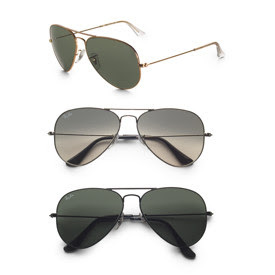 Pop ’em on for a sunny winter day as the perfect finish to a sophisticated look. 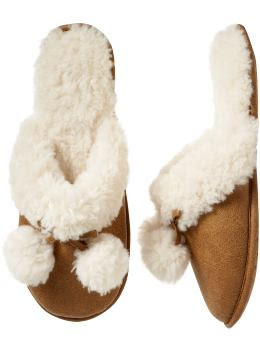 Get this pair at www.saks.com. 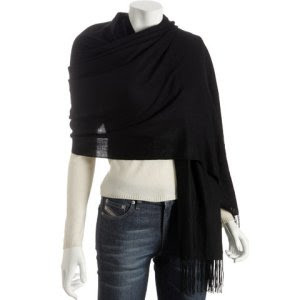 Black wraps are a wardrobe staple for a good reason: they’re a great topper for a chilly office, work well as a re-purposed scarf on a cold day, and provide oh so necessary warmth when donning backless numbers for club nights. … for $100 at www.bluefly.com. 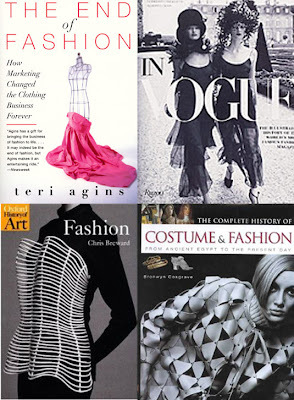 Top Row:The End of Fashion by Teri Agins, $11; In Vogue: The Illustrated History of the World’s Most Famous Fashion Magazine, $47.25. Bottom Row:The Complete History of Costume & Fashion: From Ancient Egypt to the Present Day by Bronwyn Cosgrave, $25; Fashion (Oxford History of Art) by Christopher Breward, $15. Need to brush up on your fashion history? Want to know who Claire McCardell is (or who pioneered the ‘New Look’)? Check out these books for reference. Begin your fashion education now! Left to Right: Iris Journal, $10,www.mfashop.com; Cavallini Notebook, $15-$16, www.katespaperie.com; Blackberry Journal, $13, www.broadwaypaper.com. I’ve kept journals since I was 12…there’s nothing like looking back at how far you’ve come. Get one for personal use, and another to take notes during fashion shows! Don’t want to watch another rerun of I Love New York? These DVD’s are a bit tongue and cheek, but fashion learning nonetheless. I got my dope camera 3 years ago as a birthday present. It still works, but with the proliferation of cute cameras at affordable prices, it only makes sense to upgrade this year (all the better to snap Real Style). You can get the the Kodak option on the left for a reasonable $90 or the Fujifilm Finepix on the right for $180 at www.bestbuy.com. PS Need more ideas? Check out my Gift Guide from last year. PSSS Happy Holidays! I’ll try to update, but…no promises! Claire’s Life: The 12 Annual Essence Black Women in Hollywood Awards Featuring Diddy, Kelly Rowland, Eva Marcille, and More! Claire’s Life: My #NYFW Recap with Milano di Rouge, Rich the Kid and More Wearing Shop XIIC, Laura Faye, The Haus NYC, and More!